Continuously scan options chains for arbitrage opportunities. 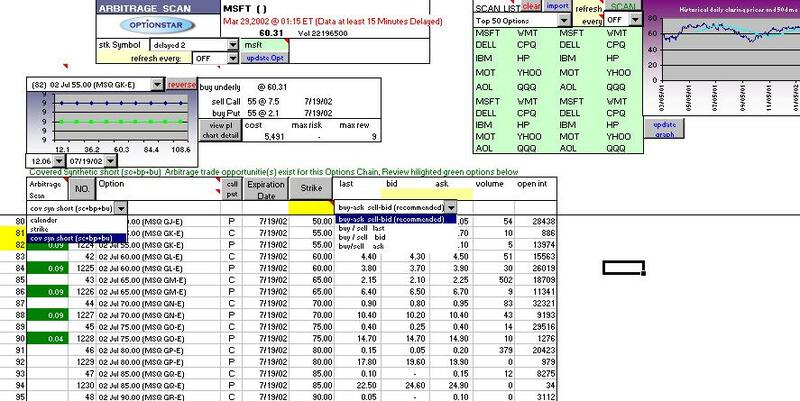 Scan through an options chain for calender, strike, intra-market, and synthetic spread arbitrages. Auto scan multiple stock lists and an alarm will sound when arbitrages come up. Profit and Loss graph versus Price graph automatically generated and adjustable. CLICK HERE to view some arbitrage examples.